Beef eaters in the U.K. and Europe have been horrified to learn that some of the beef in their food is in fact horse meat. Yes, in a variety of cheap, supermarket-sold lasagnas, burgers, and pastas, the beef has been found to contain traces of horse meat and sometimes even 100 per cent horse meat. Of course, many countries in Europe will eat horse meat happily and see little problem with the mix-up. However, Britain, much like the US, has traditionally shown a strong aversion to eating horse. Now there’s no suggestion that the horse meat scandal has reached American shores, but it does raise the question — why don’t we eat horse meat? It’s believed that humans have eaten horse meat since prehistoric times, but a modern distaste for eating horse dates back to 732 A.D. That’s the year that Pope Gregory III sent a letter to his buddy Boniface that said the ritual consumption of horse meat was a pagan practice that had to be abolished. 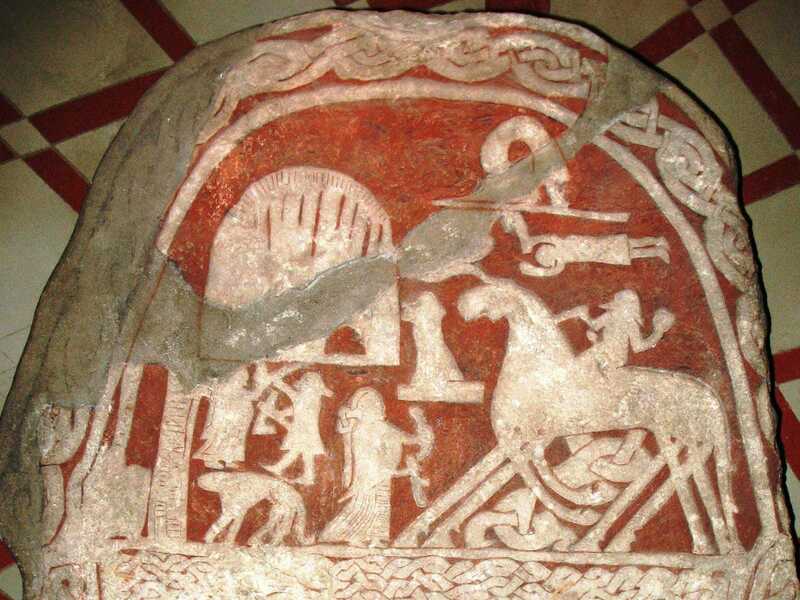 The Viking god Odin riding his horse on the Tjängvide image stone. He may have been referring to the Vikings, who sacrificed and ate their horses for rituals to the god Odin, or Germanic tribes. 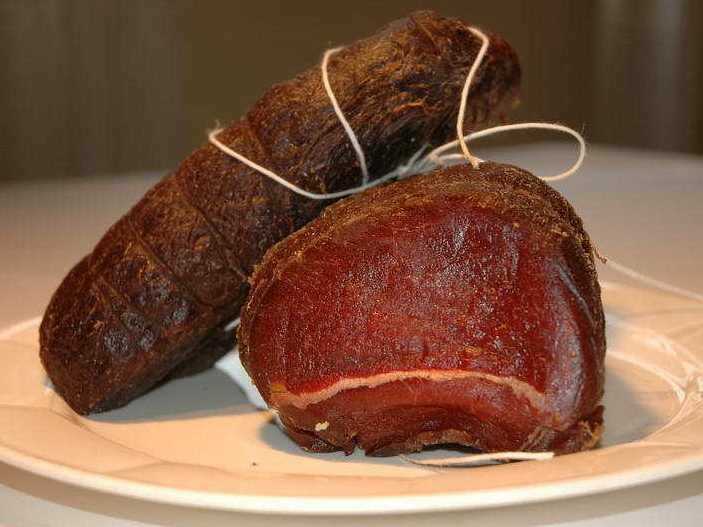 In fact, most of Eurasia and Asia ate horse meat, and the practice had been common throughout the Copper, Bronze, and Iron ages — probably since horses existed and there were humans to eat them.According to Frederick J. Simoons in “Eat Not This Flesh,” Christianity was not the first religion to ban the consumption of horse meat. 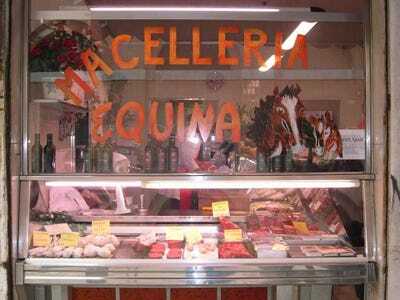 Islamic and Jewish communities had long been in the practice of avoiding horse meat under Mosaic Law, and even the Greeks and Romans had a strict ban on eating horse flesh. But the reason the 732 A.D. date is so important was that it was more than just an effort to stigmatised and reform a pagan religion — some scholars believe it was also an official state effort to preserve horses for warfare instead of food. Moreover, we know the papal ban was highly effective since there was still evidence centuries later of European confessor handbooks requiring horse eaters to do penance for upwards of three years. Horses became a sort of mythological creature in America’s national consciousness. When they were first brought to North America by the Spanish in the mid-16th century, Native Americans highly valued horses for hunting and warfare. There are even stories of European captives being traded in exchange for horses by certain tribes. Horses were also integral to frontier exploration, and the image of cowboys travelling across America — which was eagerly spread by magazines and newspapers — was propagated around the world. 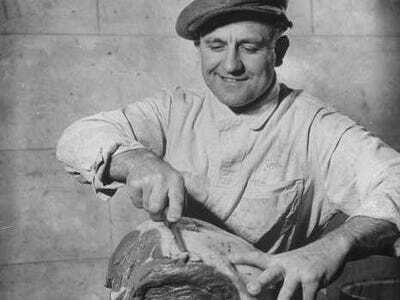 Butcher happily carving horse meat in June of 1943. The media message was clear: Horses in America were our companions, beasts of burden, and means of transportation. They were definitely not our food. But We HAVE Eaten ItThat is not to say that Americans have never eaten horse in times of desperation. There’s ample evidence that when food ran out during the Civil War and even World War II, eating horse meat became a common (and cheap) solution. In fact, it became so popular that by 1951, Time Magazine was reporting it was an important meat in Oregon cuisine, with recipes included at the end of the article for horse meat fillets. In 1973, a similar food shortage occurred that sent butcher shops reaching once more for the horse meat. That same year, however, a Republican Senator from Pennsylvania sponsored a bill to ban the sale of horse meat and make it illegal for horse slaughter houses to operate. It was the first time eating horse meat was legally questioned on a federal level in America. Will America Eat It Again?Nowadays there is no practical reason not to eat horse, and there are a variety of arguments for why we should be eating it. It’s cheaper than beef, leaner, and even something of a delicacy in some corners of the world.